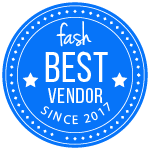 This is to post our being a part of Fash, a great place to find and hire photographers for all of your necessary events! Added several new photos tonight! From the Free to Breathe Event to our Product Photography, we’ve been busy adding new pages and new images for everyone! We will be adding more images, possibly pages, throughout the night, but we hope you enjoy the new content! We’ve been a bit on the quiet side lately, but we promise it’s for a good reason! We have been shooting with various models and taking on our own mini challenges to see what we can accomplish in our photography! More sets are planned for the future and we’ll keep on aiming to do more over the course of the year! We haven’t posted much as we’ve been so swamped lately, but we had a wonderful time this past weekend at the Walk to Cure Arthritis event in Renton, Washington! It was a really fun and enjoyable event with a lot of amazing people, and amazing volunteers. We were out there as the Event Photographer capturing mostly candid images of the entire event from Start (line) to Finish! Check out all of the pictures and feel free to explore our site, we have a lot to offer! Photoshoots Coming Left and Right! This month has been our busiest month to date! We’ve been working on photoshotos on a weekly basis, with one or more shoot that we work on at a time. We’ve got some more Cosplay photoshoots up at our Facebook Page with more Model shoots planned too! Stay tuned as we continue to update all of our social media pages with more of our work! Aaron Matthew Photography Studios is happy to announce our very first project with; Women. The Franchise. Things have been going really well and we’re very excited to start getting numerous photoshoot sets uploaded on our Social Media sites, as well as a few select photo sets here on our website, too! We have a special collaboration with a new Social/Dating website that we will be announcing after this weekend as well. It’s a mutual partnership that will help both our photography services, as well as theirs, with advertisement and web traffic.